Are these boots too old for me? I already asked another fashion question about boots lol. I would actually wear them with high waisted pants and a crop top. What should I wear them with. ? 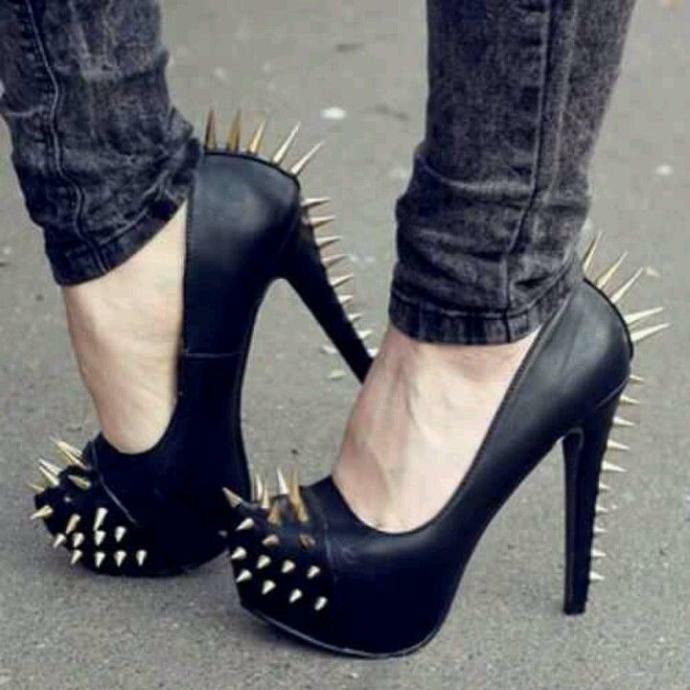 I think they're really cool but be careful walking in those. If you like something then it's really your decision on whether or not to buy it. If somebody else doesn't like your fashion then they can buzz off. They're not you and you define yourself. Yeah my first pair of heels are my favorite. My mother passed them down to me. The have a smooth wooden frame and a crocheted cover with the toe and heel out. 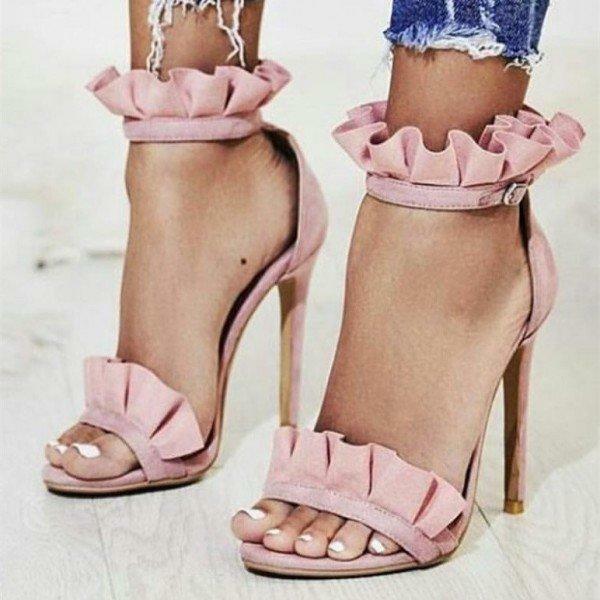 They don't make heels like those anymore. I was so sad when my feet got to big for them lol. I didn't know boots could be too old for someone. If you like the boots, wear the boots. Don't let age dictate what you can and can't wear. That sounds foolish to me. Do they look to grown up. ? Uhh... I guess. Don't really know how to answer that. Lol that's hilarious. But yes since they're only 4 1/2 inches if they were any higher then NO. I honesty think those are a liiittle old for a 14 year old. But hey if youve got the confidence for it go for it,,, i certainly do NOT lol. So you think they are ok for me. ? Not sure it's a matter of age, I'm 27 and I would fall over if I tried to walk in those. Lol well I probably would. I look older though so does that change anything. no your not... i am 17.. thanks for that..
you dont understand you will later on..
O please like your so much more mature. Cause your 3 years older. I look old so I could pull it off I think. I'm a freshman and I pass for a junior. I don't have one in my area. So I'd have to order them. Unfortunately my size is out of stock at the store. I actually just found them online at macys. If by old you mean ugly. I like them :) go ahead and get them. They look good. I like them. I wouldn't wear them at school if I were you though. Are you gonna wear it to school? Whats the occasion? No. I often go to family gatherings at restaurants. Home > Fashion & Beauty > Are these boots too old for me?